Who do you want to reach – and how? Defining target groups is essential for succeeding. When you know who you want to meet and activate, you can design a theme and execute it so that it is particularly interesting for them. The most common fair target groups are existing and potential customers, agents or distribution network, other partners and influencers, professional media, as well as your own organization. 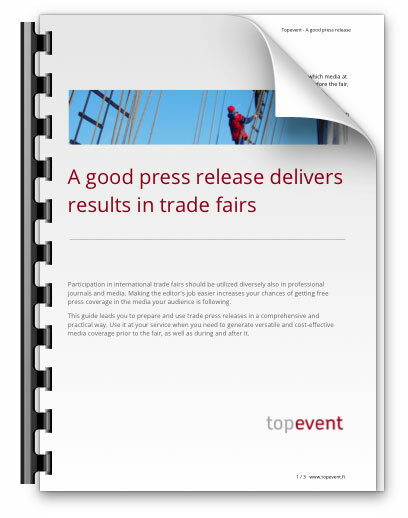 Each target group requires activation on several occasions and in different channels – in particular, prior to the fair – but also during and after the event. 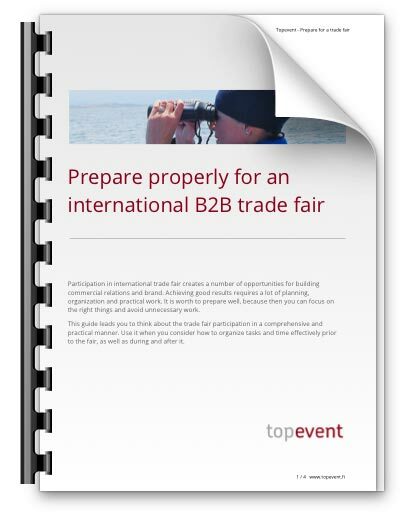 The auxiliary program of trade fairs and agreeing meetings in advance is a good and practical way to generate interest. Activation is worth doing, even though not all of the target group members would not actually visit your stand.